So, these mid-demolition pictures will have to do the trick for now. Remember when I said that I made an epic fail with the before pictures? Well, this is the worst. Because the upstairs renter moved out much quicker than the downstairs renter, we got started on the upstairs demolition almost immediately. 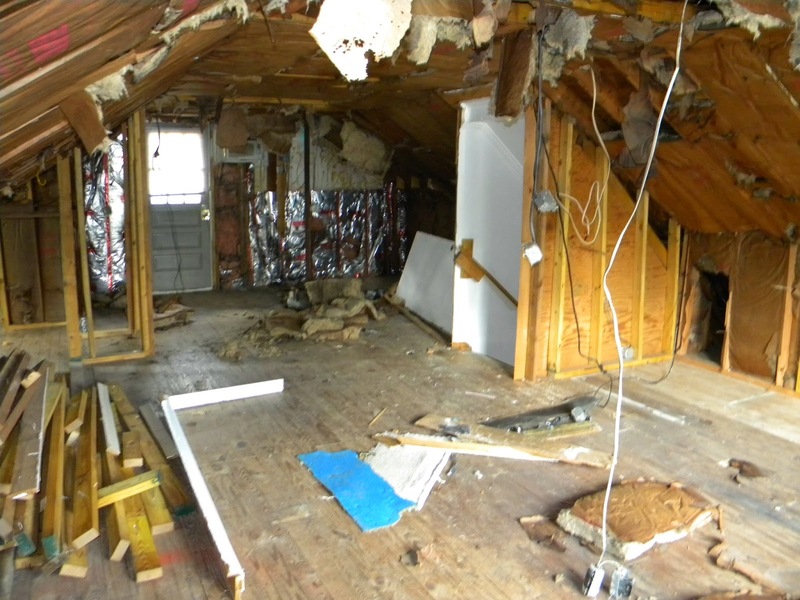 The upstairs used to be a two bedroom, one bathroom apartment with a kitchen and living room. Our plan for it is to make it a master suite with a large walk in closet and large bathroom. I have a feeling this is going to be my favorite room in the house when it is completed. This is the kitchen. And although it looks kind of fun and charming in this picture, its really not in person. 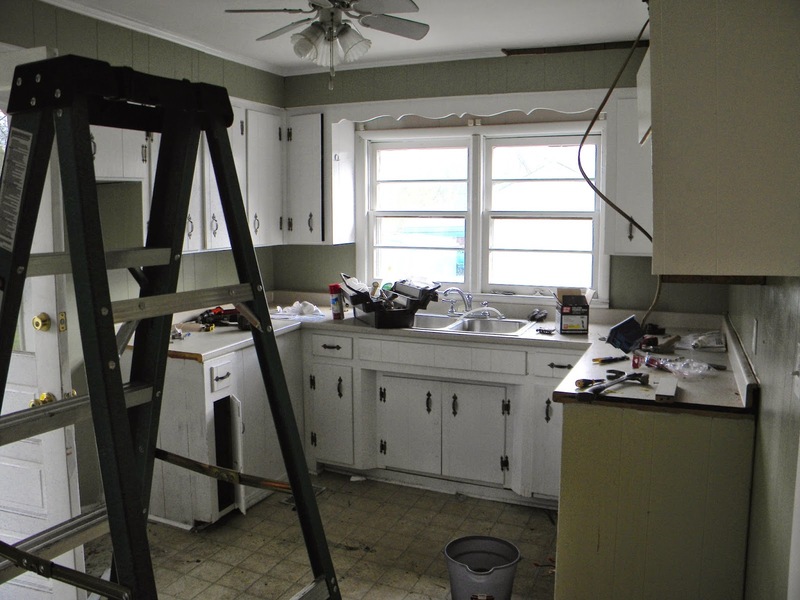 At this moment, its all been ripped out (cabinets, appliances, floors, etc) This will have all new cabinets and appliances, countertopes, paint, the whole nine yards. 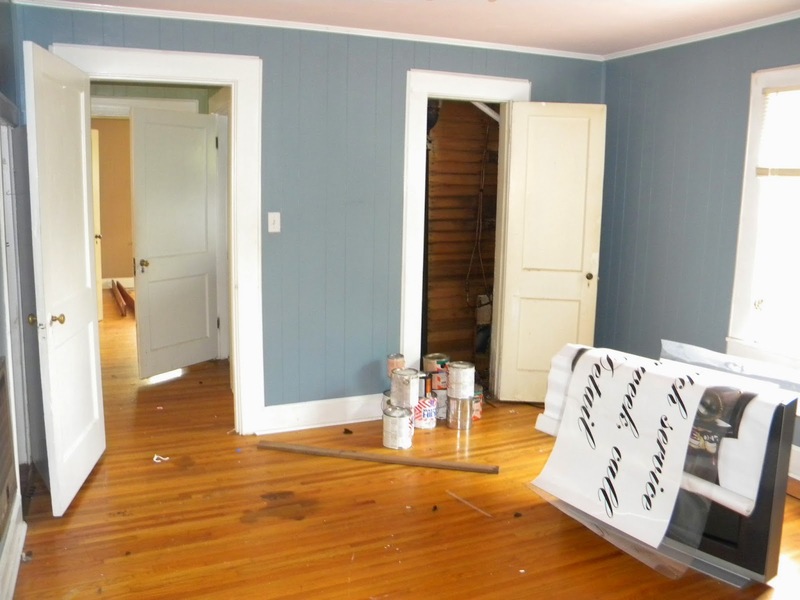 We will also be relocating the back door that you see to the left of this picture to make room for more cabinetry. That door will become another window for some nice natural light. Although this picture looks pretty ghetto because of the blinds the renter's dog destroyed, it is actually in pretty good shape. 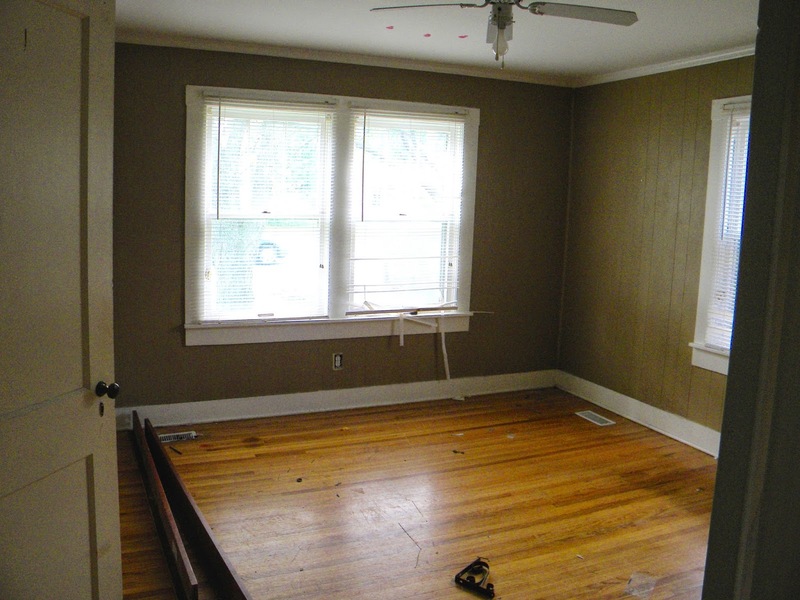 The floors are in good condition and when we get new windows, blinds and paint, it will be a cool living room! This is one of the two bedrooms downstairs. 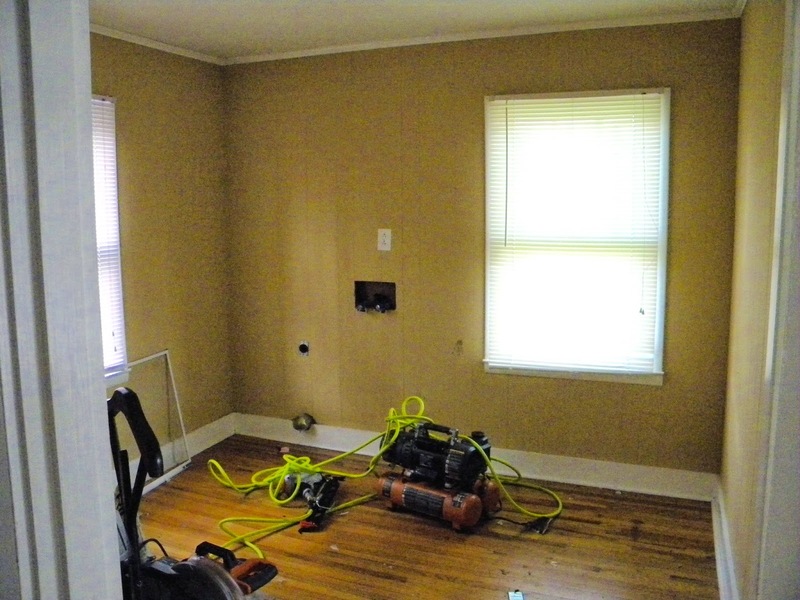 Again, this room doesn't need a whole lot, but we will be relocating the closet that you see here in order to make a bigger bathroom. This closet is not very useful because it has lots of old plumbing in it. Once we replace the plumbing, we can do away with this closet altogether and expand the bathroom that is behind it. Although it is only a few extra feet, it will make a big difference in this bathroom. This is currently the master bedroom of the house. Since we are adding the master suite upstairs, this will simply become regular old bedroom. 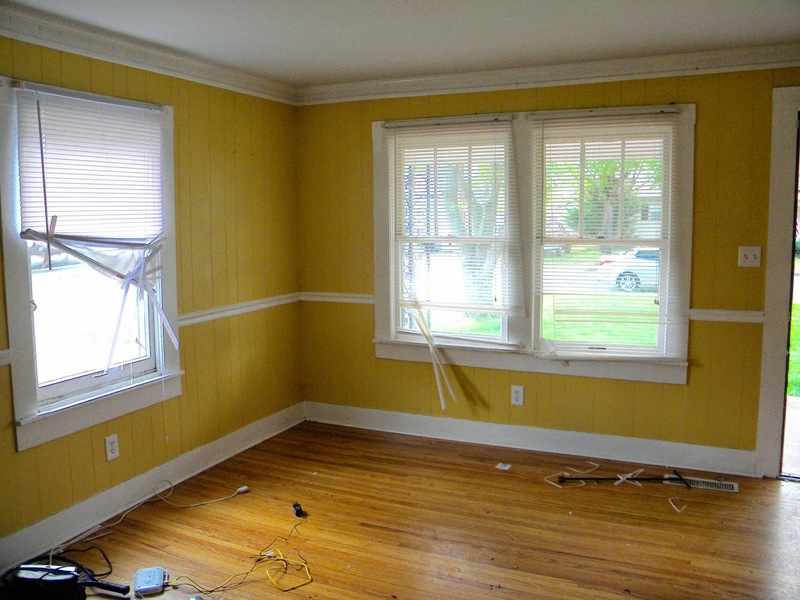 Again, this one doesn't need too much other than paint, windows, blinds, lights and a good cleaning. I don't know, those blinds look pretty fancy. So, I made another epic fail and didn't take a picture of the downstairs bathroom. Whoops. It was pretty rough, so just use your imagination. 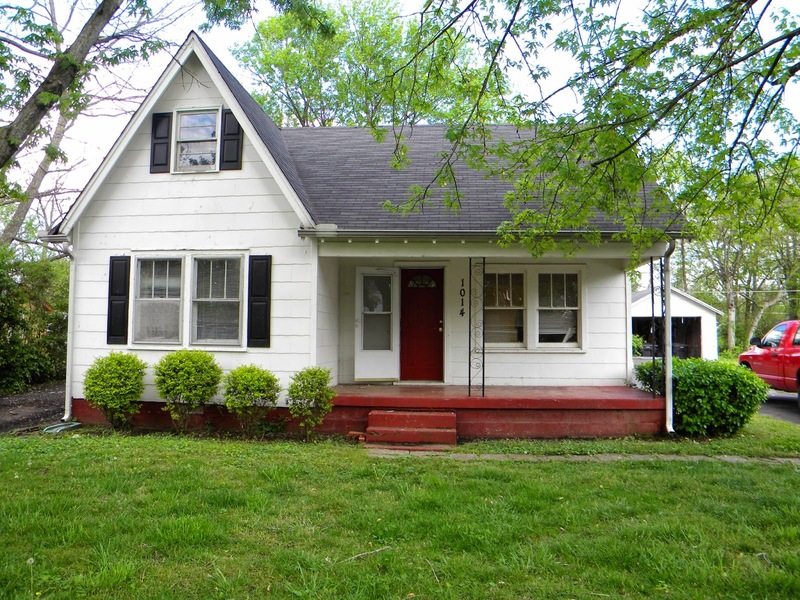 We are very excited to be getting our hands dirty and getting started on this house. I have a feeling that it will be my favorite so far! Stay tuned for lots of stories and pictures. Happy Weekend, friends! Stay dry out there. Thanks for your nice blog! How to get free leads for houses 30% under value everyday!!! !